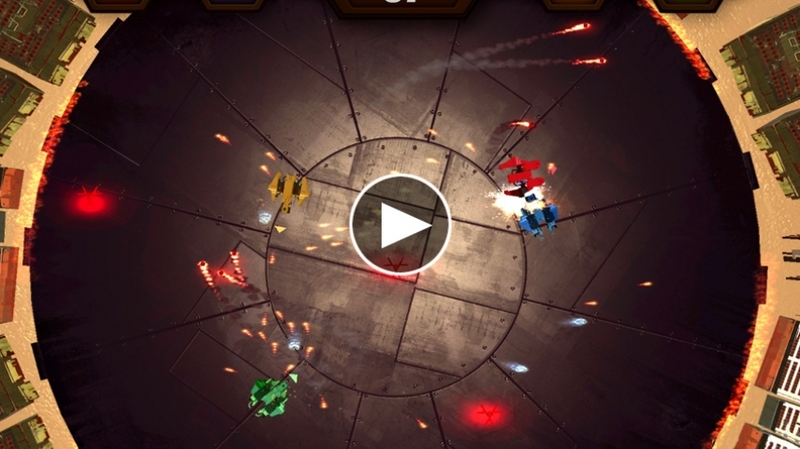 A multiplayer top-down shooter in which the player characters are modular player-created vehicles that break apart in combat. 30+ Concept Prototypes – While the software engineers developed our in-house engine, I led the rapid production and testing of over 30 game mechanic/concept prototypes (paper and digital). The excessive prototyping helped us create a vast possibility space of ideas and mechanics for the team to explore, and by the time we hit the last prototype it was clear that we had finally reached the concept that would foster a passionate community. Metrics Collection and Parsing – To aid in the collection of player feedback, I implemented a quantitative metrics collector and wrote a parallel metrics parser program in C++. The parser reads in text files and stores player data in numerous vector objects before organizing and outputing the data aggregates to a master text file. 100+ Hours of Playtesting – Solid, professional game design cannot be achieved based exclusively on quantitative data. So in addition to metrics tracking, I’ve also personally attended each Rekkage playtesting session to see what players are most excited about, when players are most likely to hand off the controller (exit points), and how long spectators will watch the game before joining in (roughly 5 minutes). Basic AI Scripting – Implemented (using Python) fundamental AI scripting into our prototype engine, allowing us to run automated tests for hours while away from our computers. These tests were compatible with the metrics parser mentioned above, and provided us with AI performance metrics on a per-ship basis. Data-Driven Ship Content Loading – With the introduction of different ship “chassis,” we needed a quick and manageable system for loading that content into the game. To help this, I implemented a data-driven serialization pipeline using Python that would load all ship data and store the information in a global data library to be accessed during gameplay. 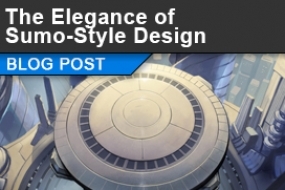 Production – Contributed to design, artistic, and technical production. This included daily meetings with core team members and weekly check-ins with other members, all of which kept workflow organized and technical blocks at a minimum. This, along with extensive help from the team’s producer allowed us to ship our alpha milestone almost a month ahead of schedule. Non-stop Playtesting – Rekkage was publicly tested on a once-to-twice-weekly basis, with game balance tweaking and bug fixing prioritized based on our players’ feedback. Why were so many of our players choosing this ship design? Why do people struggle with these controls? Our commitment to constant playtesting ensured we had a steady flow of data and feedback for the changes we implemented. Deep Systems Exploration – The amount of customization and engineering involved in vehicle creation affords ample opportunities to explore the virtually-bottomless possibility space of vehicle creation, and the ever-evolving metagame of PVP combat kept the game fresh and interesting for curious players. 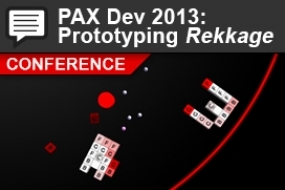 Rapid Prototyping Commitment – Rekkage was not the first game idea we explored. We actually went through approximately 40-50 different ideas before settling down on a single high-promise candidate. Such a high density of prototypes would typically require a studio to spend over 1 year in pre-production, but our approach allowed us to achieve a similar amount of exploration in only 3-6 months. Inexpensive Iteration – In addition to our philosophies on efficient prototyping, we were also able to build, test, and evaluate prototype content using an established pre-built engine. Once concepts had been proven out and iterated upon, it was much easier to integrate the logic into our custom engine. New User Experience – Rekkage may have great depth of systems and a high skill bar, but its approachability from a new-user perspective was lacking. In hindsight, it may have been worth investing more resources into making the new user experience as polished as possible in order to communicate the satisfaction of mastery. Visual Development – Artists at DigiPen work incredibly hard, and often have limited time to work on their projects. I lost sight of this during our prototyping process, and by the time we had settled on our final game concept, there was very limited time for the art team to really make Rekkage shine to a professional visual caliber. Working on Rekkage taught me a bounty of valuable lessons about prototyping and production. Our prototyping methodology, while experimental, proved invaluable in efficiently navigating through the possibility space of our game and honing in on the most promising aspects of the experience. I also came to appreciate the importance of those elements we lacked, including a solid new user experience and a polished visual landscape. Both of these elements became instrumental during the development of my next project, Wingman, and I have Rekkage to thank for that. 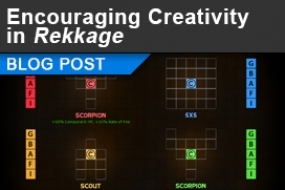 Overall, developing Rekkage was an amazing and rewarding experience. 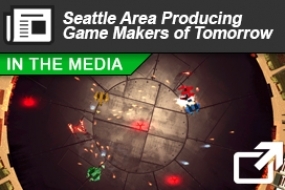 The game was recognized for excellence by the DigiPen community, featured at PAX East 2013 and PAX Prime 2013, and was a finalist in the “Best Design” category in the Hoplay 2013 International Game competition.